Eager to start working on your VPS? Your VPS will be activated immediately for maximum satisfaction. If you have technical issues, you can always contact our live chat support 24 hours a day, 7 days a week! With our special plugin, your wordPress will run more efficiently and individual pages will load much faster. Wrath Host offer high end servers in order to provide fast loading times and maximum security to our clients. Choose location for your amazing Wordpress Hosting. Wrath Host have servers in EU and US. 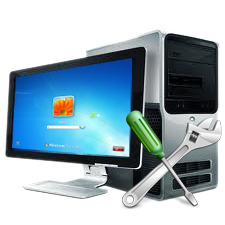 Cheap, Stable and Reliable Windows Hosting Solutions for Your Business! All Wrath Host Servers are protected by an Anti-DDoS protection that allows to absorb every attack! The Anti-DDoS is included with all our servers! We guarantee that you will receive the best service in your life. 100% Customer Satisfaction Guaranteed. Feel the difference! Does this product have Anti-DDoS protection? YES, all Wrath Host Servers are protected by an Anti-DDoS protection that allows to absorb every attack! The Anti-DDoS is included with all our servers! Do you provide different datacenter location for this service? YES, Choose the best location for your VPS Hosting. Wrath Host have servers in EU and US.